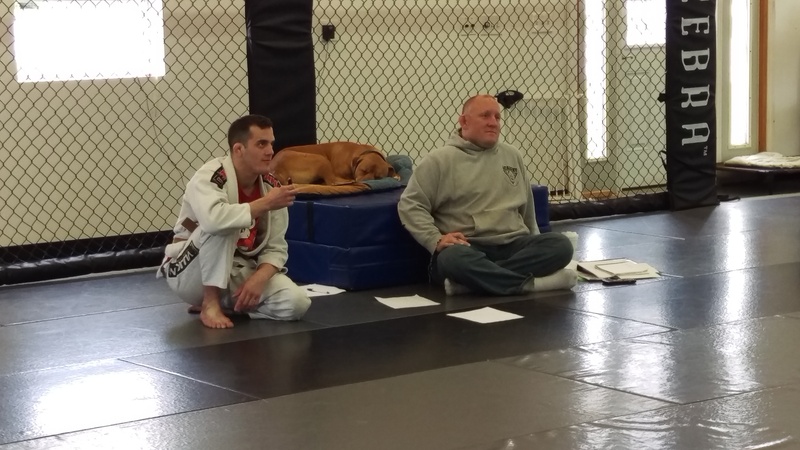 In late April I finally made it to the gym to watch testing for the first time. The format was simple and I suspect it’s pretty universal among BJJ gyms. * The trainers sit at the front of the room and ask people to demonstrate techniques on the curriculum. Describing the reasons for the test and the focus for each belt color may not be standard but as a newbie, I appreciated it. I doubt Jay’s brand of commentary is considered par for the course, but it would have felt like I was in the wrong place without it.